The two central objectives guiding the design...[were] to provide surveillance and data-link communication adequate to support automated ATC....[and] to permit evolutionary implementation at low user cost. - Paul Drouilhet, DABS: A System Description (ATC-42), November 18, 1974. MIT Lincoln Laboratory has been tasked with the design and development of the Discrete Address Beacon system (DABS), which was recommended by the Air Traffic Control Advisory Committee (ATCAC) as an evolutionary replacement for today's Air Traffic Control surveillance systems... - A. G. Cameron, D. H. Purslin, Final Report: Empirical Assessment of ATCRBS (ATC-16), October 31, 1973. Mode S is a datalink technology that uses discretely addressed interrogations. 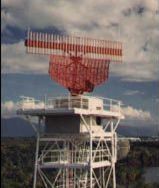 Mode S equipment includes ground stations with sensors, and transponders aboard aircraft. The interrogations that ground sensors send planes include the identification information of the target plane. This method ensures that when other aircraft receive the interrogation, they will not respond. Replies contain information such as altitude reports. In studying the development of Mode S, we found that interoperability was the driving pressure behind many design decisions. The primary reason for this requirement was the needs of the aviation community. Being diverse in interests and large in size, this group is alternately safety-conscious, economical, skeptical, and concerned about the bottom line. The overall effect is extreme conservatism, which has two major consequences for designers of air traffic control systems. First, deployment of a new air traffic control technology is always incremental; there will always be a long transition period during which both new and old systems must coexist. Adoption of a new air traffic control technology requires upgrading hundreds of ground stations, installing new equipment in thousands of aircraft, and training tens of thousands of people. Second, a new air traffic control system cannot assume that every aircraft will be fully compliant with the new standard. The global nature of aviation and the relative ease with which a pilot may fly aircraft virtually guarantees that some aircraft may not have the latest in air traffic control technology. Air traffic control is a unique problem in that every aircraft in a given airspace must be tracked by a ground station. In a hybrid system, both systems must be able to operate in conjunction with the components of the other, in order to ensure the safety of all aircraft. The Lincoln Lab designers of Mode S were acutely aware of this problem and were determined to build a new air traffic control technology that would interoperate seamlessly with the existing system. For more information about Mode S, see the Mode S brochure.